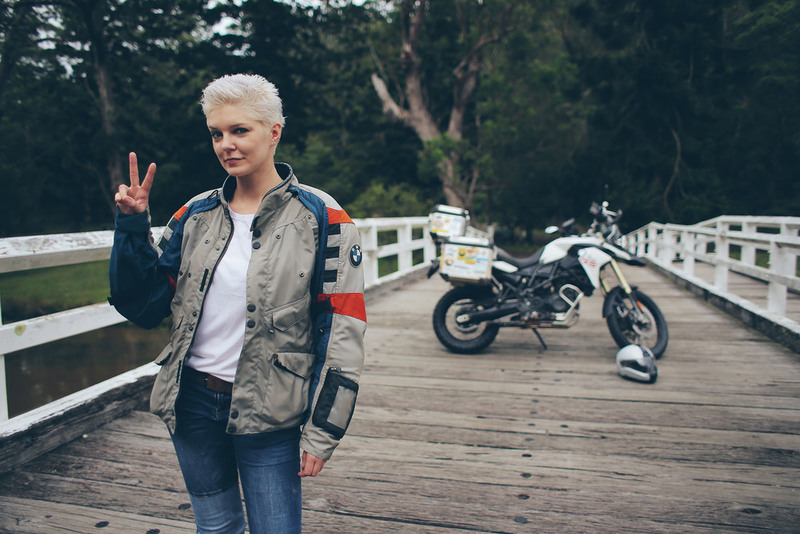 Kinga Tanajewska is the first Australian woman to be featured on Global Women Who Ride and upon seeing her featured I contacted her immediately and was thrilled with the woman on the other end of the phone. She has a generous spirit, heaps of energy (like… heaps!) and is someone who you can be yourself around instantly. 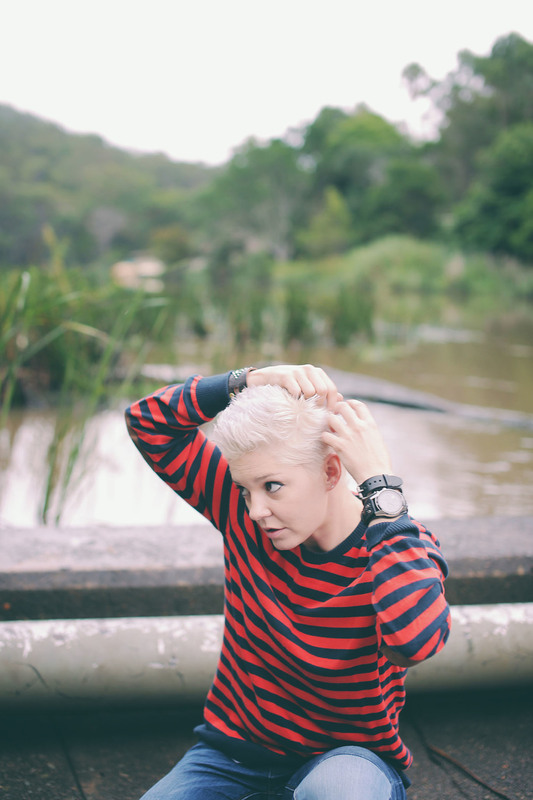 Based In Sydney, Kinga is originally from Poland which is where her riding began. Before Communism fell in 1990 there weren’t many options for transport in Poland. Combine limitations on importing motorcycles with living in a small town there were only a few bikes in the town to buy. Her dad managed to get her a Honda CB450 nighthawk when she was seventeen to give her an outlet for her trouble making ways. Once Communism fell, economic development in Poland was slow to emerge hence there were no bike shop or places to buy parts to improve or repair motorbikes. Nonetheless, Kinga and her friends were resourceful, owning a bike was very much a communal effort. Every summer, as many did at the time, she would hit the road and work in nearby countries to bring money back to Poland, and with that more mods to her nighthawk until eventually purchasing a new bike. She also described attending local motorcycle rallies that involved camping, bike shows, entertainment punctuated by female strippers at midnight as a tradition. As the rallies became more popular and more women started riding, male strippers were introduced (at least they’re supportive of both genders in the entertainment industry). Kinga mentioned that Harley Davidson motorcycles were really popular in Poland, while she loved the bikes she couldn’t relate to the scene that surrounded it being too “showy” and not necessarily about riding. 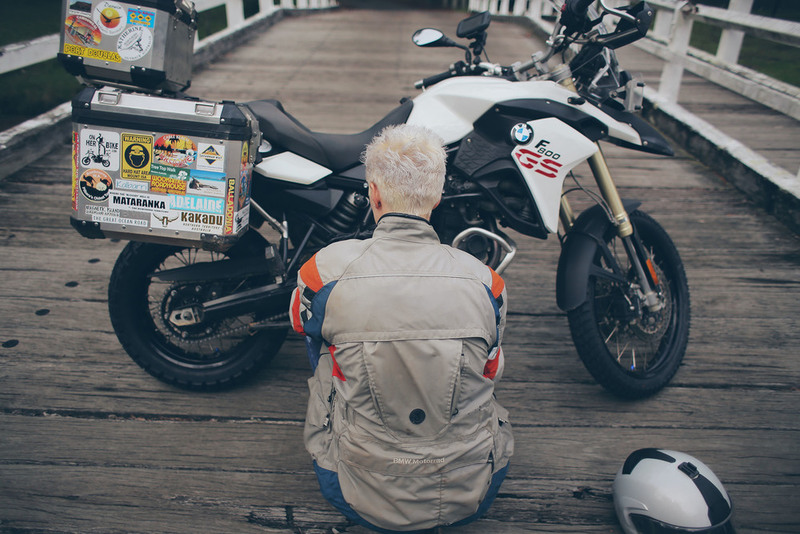 Kinga’s European communal, village-like upbringing was punctuated by solo adventures out of the country, an existence that motorcycling played a large part in. This upbringing is reflected in her move to Australia and the decision to travel around the continent, alone. While she would have preferred to do it with her husband, they couldn’t afford for them both to go, so when her work offered her a job in Karratha Western Australia, they both saw it as an opportunity she should not miss out on. 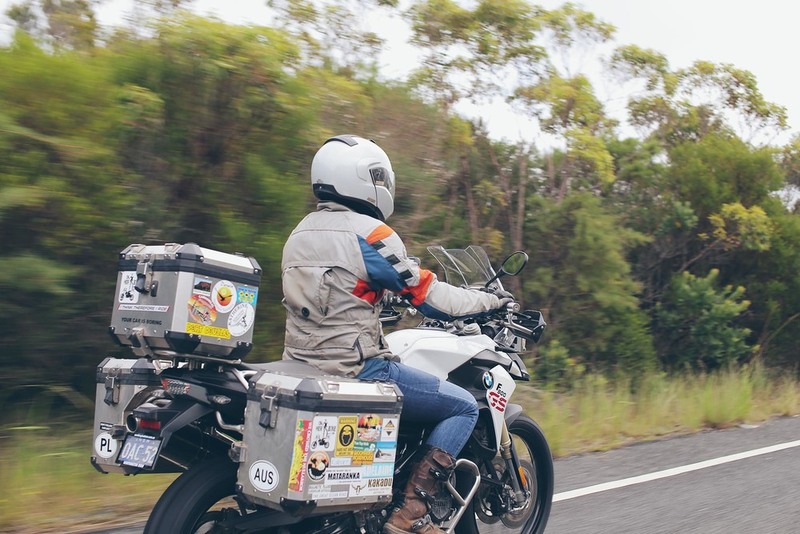 So Kinga bought her GS, loaded up her panniers, created a blog, found a cause the trip could advocate for (in this case The Shepherd Centre) and hit the road taking one month to get to Karratha heading counterclockwise around the country to get there. Her time in Karratha was meant to only be for six months but ended up being eighteen because she loved the job so much (working for a mining company) and her weekend adventures into the desert, again alone. When I asked her if she ever got lonely, she said “No! Give me a bike, a tent and the desert any day!”. Most people from the city (including myself) would find the expansive, ancient landscapes of outback Australia overwhelmingly isolating, so to hear her express her love for the experience was utterly refreshing - she clearly enjoyed the challenge of the experience which, I think, nurtured her uninhibited nature. After her eighteen months on the job where up, she took another month to return to Sydney via the southern states always stopping to take photos and making sure she took in whatever places or sites that captured her. Kinga is a wealth of knowledge on the best camping sites around the country, the best gravel roads and how to ride beside a road train and not get flattened by side winds. For Kinga, life on the road is what makes life way more interesting, while she loves the freedom and independence of riding by herself, for herself, she is also has a generous spirit that wants share the love of a life like hers with anyone interested.